It is at the top of Corcovado Mountain. 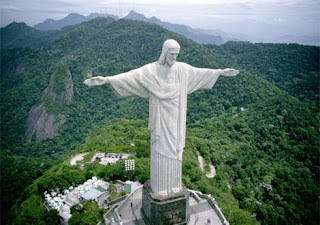 The height of statue is 130 feet and its pedestal is 31 feet tall. This statue is too much heavy it weight is 635 tons. It was constructed in nine years and its cost was $250,000. This money was largely from donations. 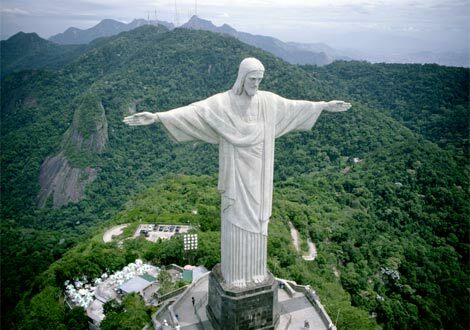 It was named among seven wonders of world in 2007. Idea of making this statue was first suggested in 1850s with finance request from Princess Isabel. Machu Picchu is pre-columbian site and is located 7,970 feet above sea level. It is in Cusco region of peru in South America. Construction of Machu Picchu took 55 years from 1438 to 1493 during the period of two great Incas. *Pachacutec Incas Yupanqui from 1438 to 1471) and second period was of Tupac Incas Yupanqui from 1472 to 1493. Its ruins are divided in to two main parts one is Urban and other is Agricultural sector. But agricultural sectors have two other sub-divisions one is Upper sector and other is Lower sector. In the same way Urban is also have two sub-divisions East and West sectors. University named as University of Arkansas made a laser scans of complete Machu Picchu and made it available to people for research purposes. Due to heavy rain in January 2010 more than 4,000 were trapped there. 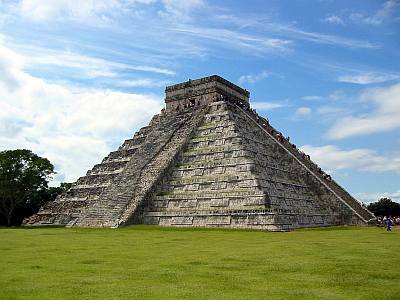 Chichen Itza was constructed by Maya civilization. Chichen Itza means “at the mouth of the well of Itza.” Chichen Itza was said to have been built around 600 AD. Most of the building was done from 7th to 10th century. Ruins of Chichen Itza are approximately 25 miles southeast of the city of Merida. 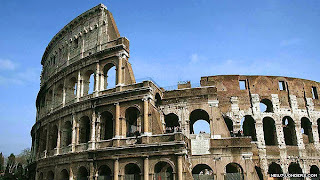 Colosseum or Coliseum, originally the Flavian Amphitheatre is an elliptical amphitheatre nearly in centre of Rome in Italy. This was constructed of concrete and stone by Roman Empire. It was constructed from 72 AD to 80 AD and then further modifications were made during 81-96 AD. 50.000 spectators could sit there and this was used for contests and public spectacles. This is also known as the Pyramid of Khufu or the Pyramid of cheops. 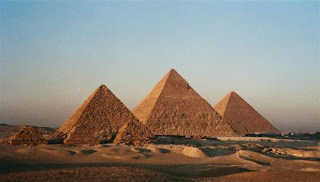 It is the oldest and almost largest Pyramid in Egypt. Its height was about 481 feet and was the tallest man-made structure in world for over 3,800 years. It is the only pyramid in Egypt that contains both ascending and descending passages. Taj is Persian/Urdu word, Taj means Crown and Mahal means Place/places so Tah Mahal (Crown Of Places) is in Agra, India. It was built by Mughal Emperor Shah Jahan in memory of his third wife, Mumtaz. It is largely known as jewel of Muslim art in India. 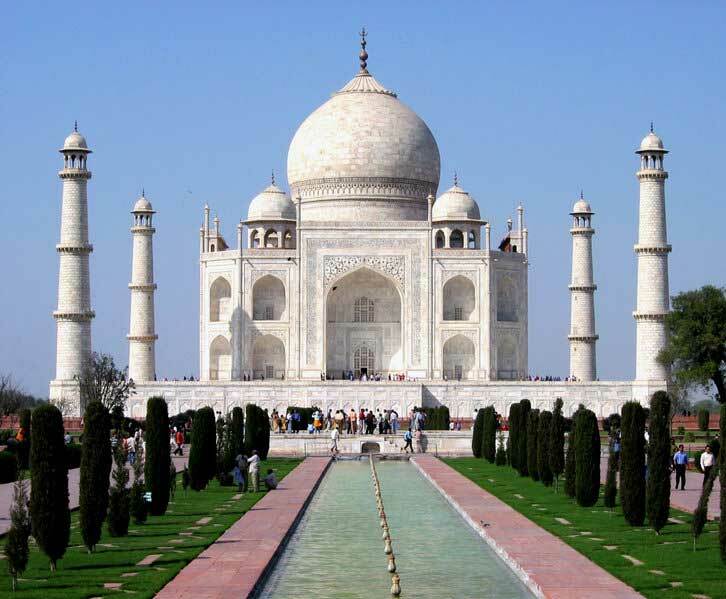 Its most famous component is white domed marble. It was constructed in about 21 years from 1632 to 1653. It is a series of fortifications made of some different things stone, tamped earth, brick, wood and some other materials. 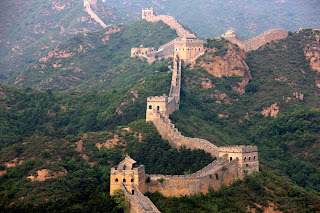 It is along east to west line of historical borders of China. In 7th century BC several walls were built and then joined for good strength and size. It was constructed from 220 BC to 206 BC. Main purpose of this wall was to have good controls on border.